About Me, my name is Denice A. R. Haamid. Ever since I can remember, gemstones and minerals fascinated me. While in junior high school, we took a field trip to the Crystal Caverns, and seeing these crystals protruding from the ground and walls inside these caverns led me to want to learn more about minerals and gemstones. Also, in junior high school, I belonged to a club called the 5C's, which stood for: Country, City, Church, Community and Council. Every May, we took trips before school let out for the summer. One year, we took a trip to Washington, D. C. There, we visited the White House, I believe Richard M. Nixon was the President at the time. 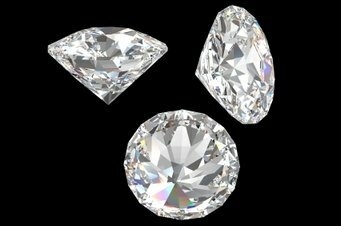 Afterwards, we went to the Smithsonian Museum, there we saw the Hope Diamond or at the time, it was called, "The Diamond of Good Hope." Seeing this beautiful diamond increased my fascination for diamonds. I have a bachelors degree in Humanities, so, I didn't pursue the study of minerals or diamonds in college, but, writing for this website, allowed me to do research in this field of study. So, I now have the chance to pursue my passions. I've looked for many years for a business that would allow me to make money and to do the things I enjoyed doing the most, pursuing further research in my favorites studies and I hope to one day travel to different cities, states in the U.S. and to different countries to continue my research in these studies. I finally found a business I can rely on and is on the up and up. There is no bull with this company and their standards are excellent. They are called, Site Build It, Inc. I've created a website as an affiliate of Site Build It, Inc. It is easy to create websites through their programs. Whether you are a webmaster designer or have no clue about designing a website, they will help you from the beginning to the end. They will even show you how to sign-up with the Google AdSense Program, which is what captured my attention about Site Build It, Inc. This is the formula that is going to get you in the top 1% of the Search Engine Optimization. I used Brainstorm It, Niche Find It, and other resources SBI has, to put my website together. Again, thanks to Site Build It, Inc. with their excellent affiliate program, I'm able to be in business, and create a website about my passions: diamonds, crystals and the other gemstones. Business success is about you, other people and about me moving forward. Remember, its all about you, just like its all about me. Diamonds are a girl's best friend, but a Google bomb can be your worst known enemy. If you spend any time at all online, you need to learn about the manipulative techniques and how to protect yourself against them. This site: Solo Build It Scam is based on a true example and is a good place to start learning.